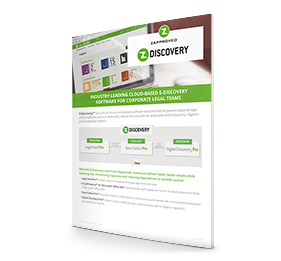 Z-Discovery® is ediscovery software that empowers in-house legal teams to manage data preservation and document review with ease. Defensibly reduce corporate risk with automated litigation holds, data preservations and data collections. Streamline the document review process with intuitive data processing and review software. 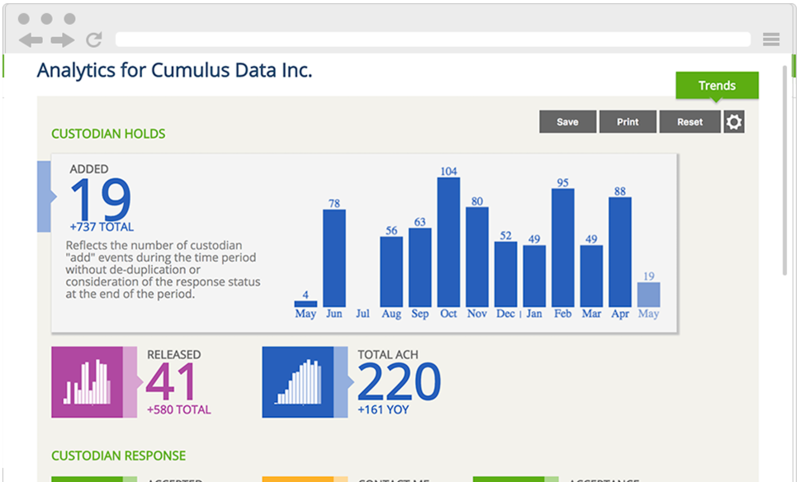 Process and cull data in-house before sending to outside service providers, dramatically reducing document review expenses. Empower your team to manage the document review process for investigations and routine litigation matters. Eliminate redundant data processing and document review with a searchable data repository that can be repurposed across multiple ediscovery projects. Equip your team with intuitive ediscovery software designed for corporate litigation response and compliance. Streamline workflows for data preservation and document review to save time, cost and risk. Minimize reliance on IT and outside document review service providers. 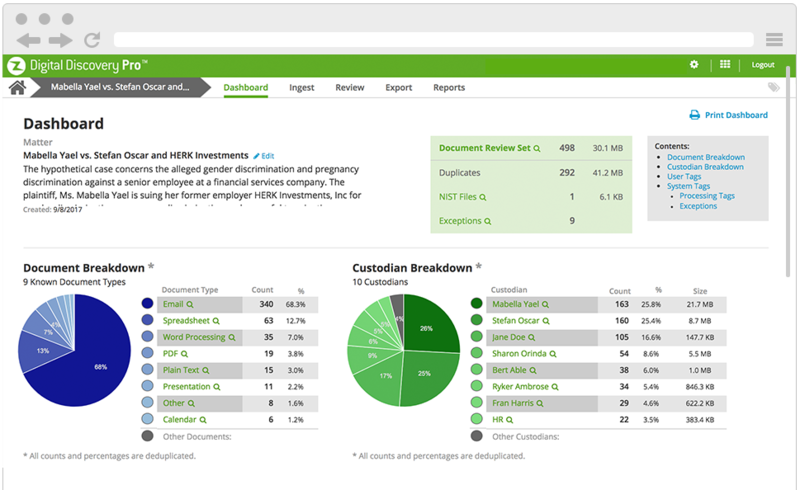 Use automation to effortlessly initiate legal holds, track custodian compliance, share reports, preserve data in place and defensibly collect data. 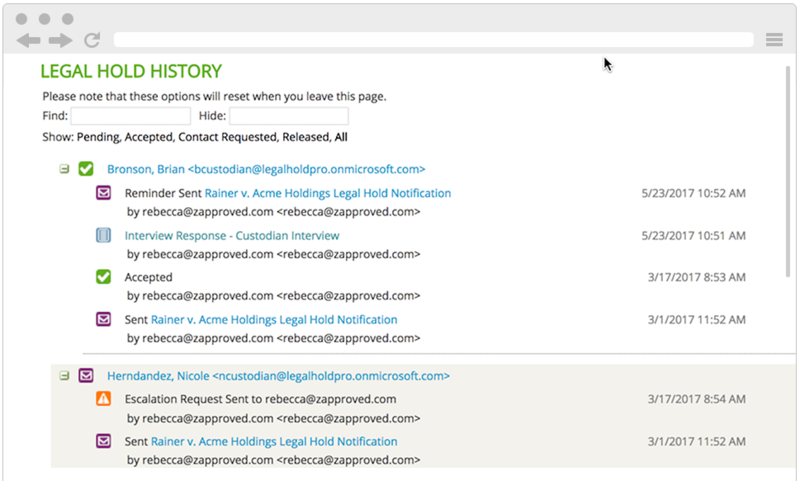 Rapidly process data and quickly find documents using clear search filters and document review tools. Lock down your data with the most secure e-discovery software on the market. Prevent spoliation with “in-place” preservation holds. Produce a complete and defensible audit trail of preservation activities. Legal Operation Manager at TransCanada Pipelines, Ltd. 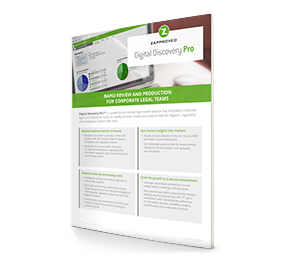 Discover how easy corporate ediscovery and litigation response can be. Don’t leave data security to chance. Zapproved’s world-class security practices and SOC 2Ⓡ Type 2 certification keeps your data accessible, safe and secure. 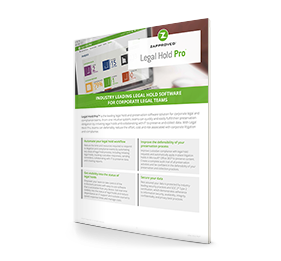 Simplify daily workflows with intuitive software and a predictable pricing model designed for the needs of corporate legal teams — not law firms. 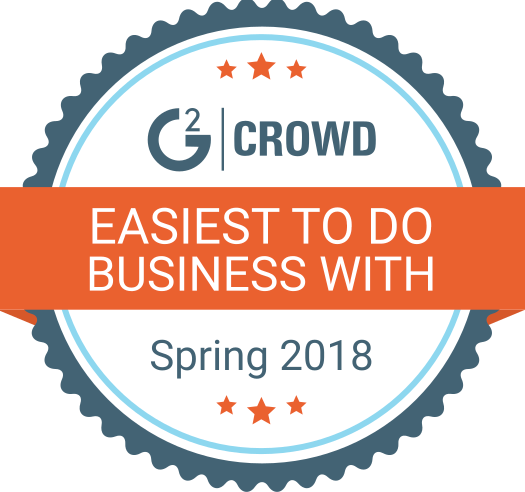 Zapproved’s cloud-native architecture delivers lightning-fast performance and makes it easy to scale for growth without investing in infrastructure. Legal Operation Manager, TransCanada Pipelines, Ltd.